Erfahrungen gemacht? Was ließe sich neu ausprobieren? place to further connect and network. to come, to go and to stay and social rights for all. regulated migration based on economic standards. have good experiences? What could be novel approaches? regional coordination teams and nationwide highlights. conference, we kindly ask for a donation. 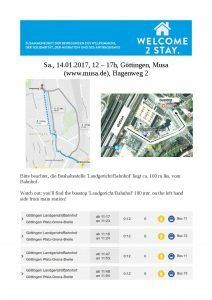 Die Flyer für alle Sprachen findet Ihr auf der Download-Seite!